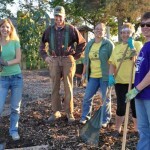 The Master Gardener Program in Jeﬀerson County started in 1995. Over 220 people have been trained since that time, and there are currently 39 certified Master Gardener Volunteers (MGVs) for 2016. The UWEX Educator facilitating the MG Program is Agriculture Agent Lavern Georgson. 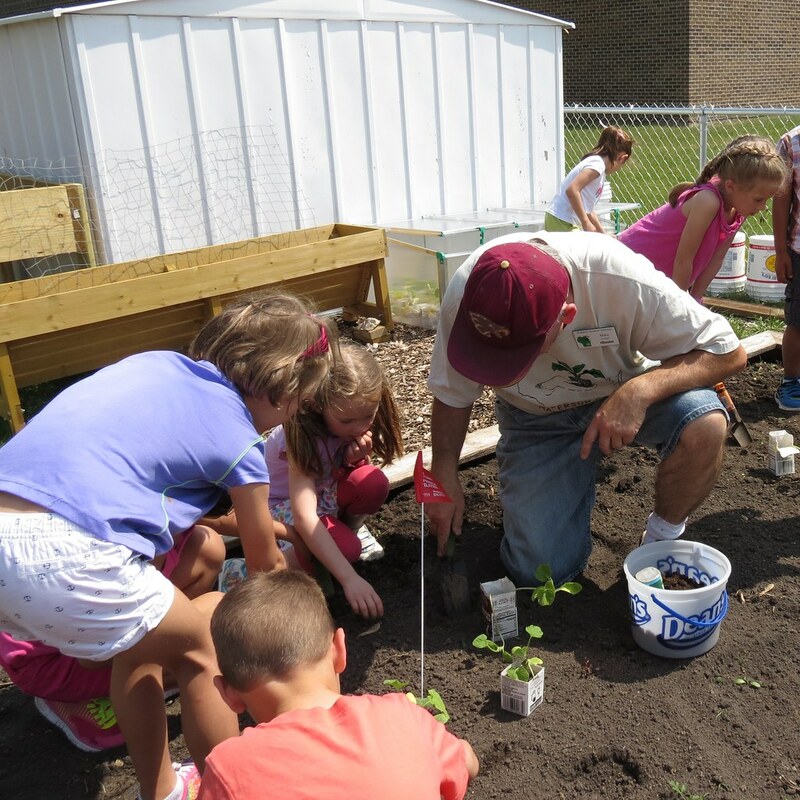 As a new and developing after school and community center garden, the Kids Garden in Lake Mills benefited greatly from the addition of tools that were right-sized for them. Under the guidance of MGVs, students started seeds with donated grow lights, experimented with straw bale gardening for a variety of vegetables and learned the benefits of spreading compost in their garden. They harvested a great red and purple potato crop. Sunflowers and Mexican sunflowers were planted to encourage bees and support pollination education. In addition to leading a group of volunteers caring for the grounds, MGV presented a slate of educational programs, free to the public, in and around the Hoard Historical Museum. The highlight of the year was a half day seminar on the herb lavender – its origins, historical uses, modern culinary and household uses, varieties, and care. Other programs included presentations about tools, propagation, and a look at invasive species and their impact. 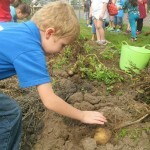 This past spring, 60 kindergarten students helped plant pumpkins, a Three Sisters garden and a pizza garden. As first graders in the fall, they harvested their pumpkins and shared them with neighbors around the school. The produce from the gardens was harvested to be cooked and sampled, as well as shared with the student’s families and others. During the summer MGVs completed the handicap accessible portion of the garden. A wheelchair friendly surface and two raised garden tables enable students with special needs to participate. Where you can find activities by MGVs in Jefferson Co. 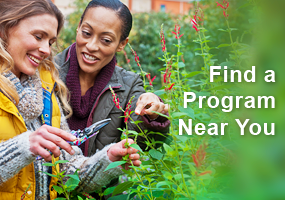 The Master Gardener Program in Waukesha County started in 1998. 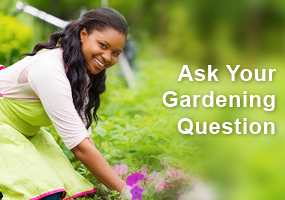 Over 1,025 people have been trained since that time, and there are currently 234 certified Master Gardener Volunteers (MGVs) for 2016. The UWEX Educator facilitating the MG Program is Consumer Horticulture Educator Ann Wied. 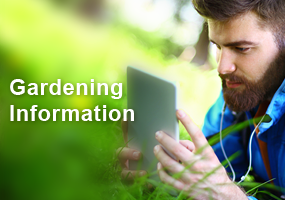 The Master Gardener Program in Burnett County started in 1999. Over 47 people have been trained since that time, and there are currently 9 certified Master Gardener Volunteers (MGVs) for 2016. The UWEX Educator facilitating the MG Program is Agriculture Agent Kevin Schoessow. Read more in this excerpt from the 2015 accomplishment report.